Who does Jesus honor? Christ Jesus honors His Father and Mary, His Mother. We should honor those who Jesus honors. Christ went to the Cross in obedience to His Father. To dishonor His Father is to dishonor Christ Jesus. Christ respected His Mother and submitted to Mary’s requests. To dishonor Mary, His Mother, is to dishonor Christ. We should take Jesus’ lead and honor Him by honoring His Father and Mary, His Mother. This entry was posted in Uncategorized and tagged Catholic, Catholicism, Christian., Christianity, God the Father, Jesus, Mary the Mother of Jesus. Bookmark the permalink. It seems to me that if Christ honored His mother’s request at Cana, we have every reason to believe that He would honor her requests today. What better reason could we have for asking our Blessed Mother to pray for us! Thank you for your post. God bless! 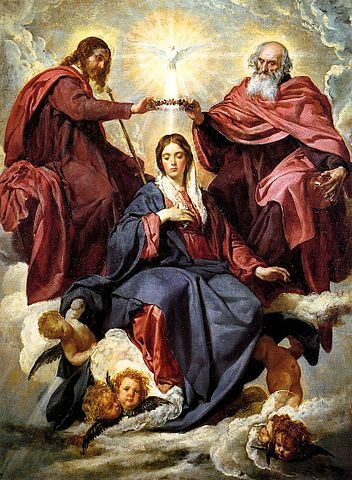 I agree, she brings all to her son; perfects our prayers; and is our advocate.